JOHN WICK: CHAPTER 3 - PARABELLUM Trailer, And Away we go! 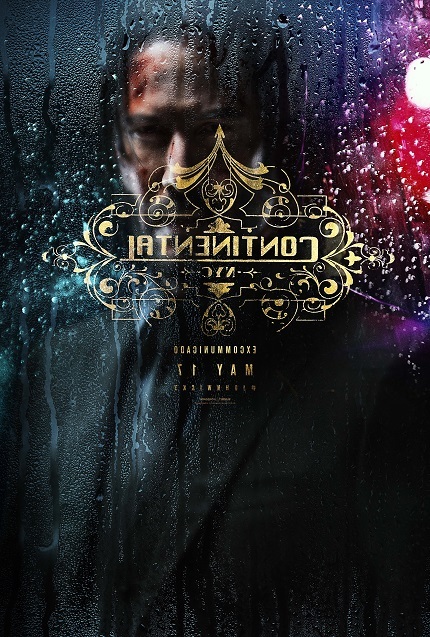 Here is the trailer for the third John Wick film, Chapter 3 - Parbellum. It is everything you hoped for. And more. Let's not dilly dally about. Enjoy! Then come back and tell us what your favorite part is. Wick killing from a motorcycle? Wick killing from a horse? Wick just killing? Or how about Berry's dogs getting in on the action? Let us know below. John Wick Chapter 3 - Parabellum comes to cinemas on May 17, 2019. Stars Keanu Reeves, Halle Berry, Laurence Fishburne, Mark Dacascos, Asia Kate Dillon, Lance Reddick, Saïd Taghmaoui, Jerome Flynn, Jason Mantzoukas, Tobias Segal, Boban Marjanovic, with Anjelica Huston, and Ian McShane.